Omega - Who needs a new Millie, when this is still on the market? Who needs a new Millie, when this is still on the market? That's the understatement of all time, Nicolas! . . .
. . . might as well have said it was your lucky year . All I can say is . . . . . . it could've been me ;-) . . . Thinking back to 1999 - 2000 it's definitely up there with anything they've put out in that time frame (when I started collecting). 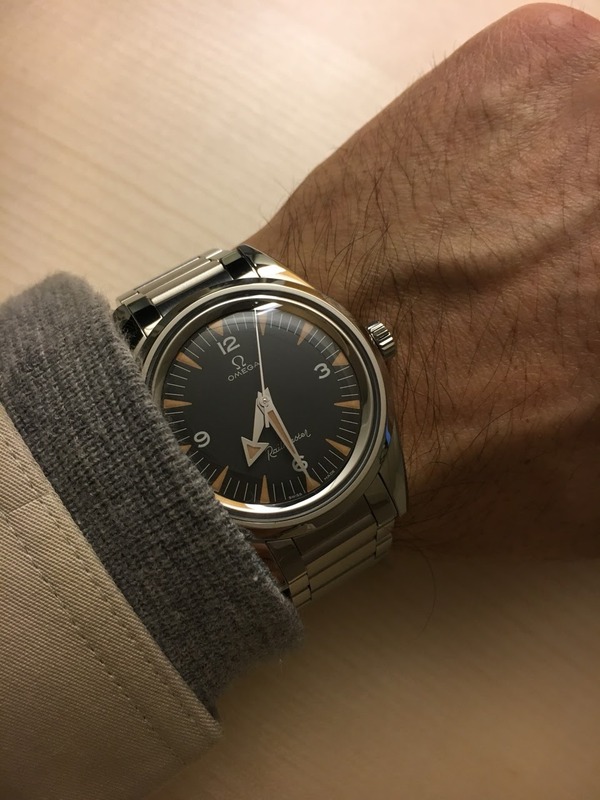 The Omega website describes the LE Railmaster as "unpretentious"... Yup! A few pics of my new RM. Love the lume on the RM. It"s rare to buy something these days and have absolutely no reservations or nagging dissatisfaction. I have had this watch for 6 months now and I like it more every day. For sure , in technical and beauty, it beat the modern Milgauss IMO. I tried this one few months ago, but the long lugs a bit overhang on my wrist. Wear it in best health !